In conjunction with the Alabama-Tombigbee Regional Commission and the Ala-Tom Resource Conservation and Development Council, UACED has worked with 12 counties in Southwest Alabama including Choctaw, Clarke, Conecuh, Dallas, Escambia, Lowndes, Marengo, Monroe, Perry, Sumter, Washington and Wilcox in a tourism development project. 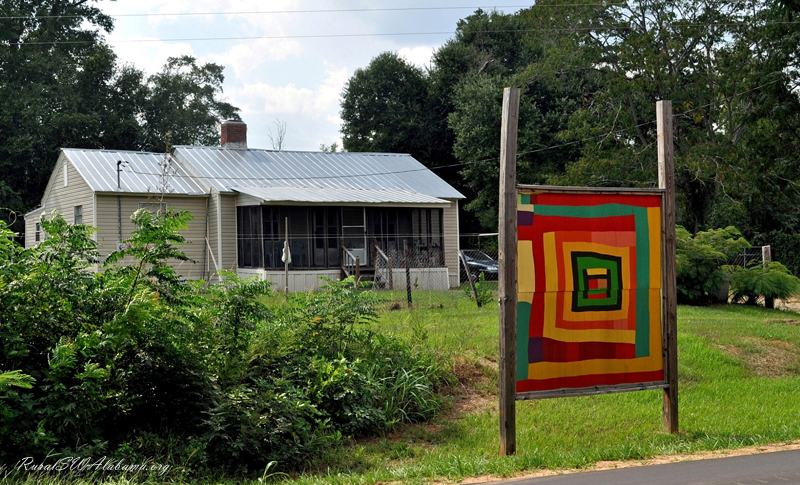 The project began in 2006 to create opportunities for increased visitation and tourism through marketing efforts, partnering between counties and communities, and the development of several touring trails including Birding Trails, Ghosts of Alabama’s Black Belt Trail, the Gee’s Bend Quilt Murals Trail, and a culinary trail throughout the region. In 2015, we unveiled our redesign of the regional website, www.alabamasfrontporches.org . One of the major upgrades is that now events, attractions and day trips can be directly added onto the website by our partners. ​The Front Porches website highlights all of the incredible activities that are available in the Alabama – Tombigbee region of rural southwest Alabama. We continue to update the site with new trips, birding opportunities, food finds and much more! 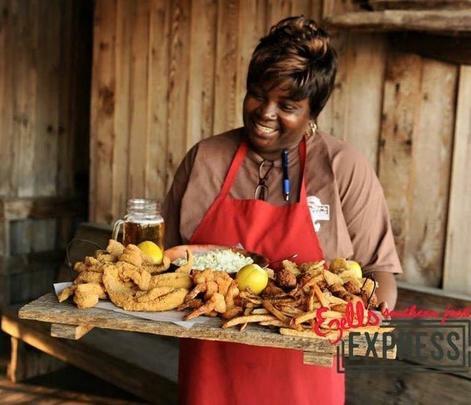 The Alabama Front Porches website highlights all of the incredible activities that are available in the Alabama – Tombigbee region of rural southwest Alabama. 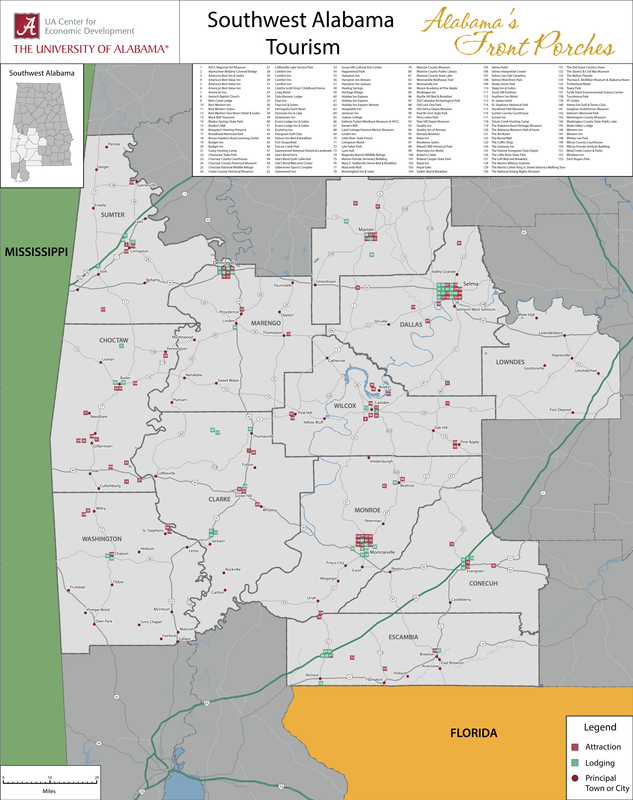 This site covers a 12 county region including Choctaw, Clarke, Conecuh, Dallas, Lowndes, Marengo, Monroe, Perry, Sumter, Washington and Wilcox Counties. These counties are home to 100's of Alabama's famous small towns. UACED helped to create opportunities for increased visitation and tourism through marketing efforts, partnering between counties and communities, and the development of a regional ad, themed rack cards and touring trails including: Birding Trails, Ghosts of Alabama’s Black Belt Trail, Christmas events, Annual Spring events and unique photo opportunities specific to the county to be shared on social media. We would like to integrate county highlights in a video on the regional website, www.alabamasfrontporches.org and have copies for each county available to show in the welcome center / chamber/ online outlets such as the county website and social media. We also will assist to organize a committee at the county level to focus on tourism and the Alabama Bicentennial celebration. 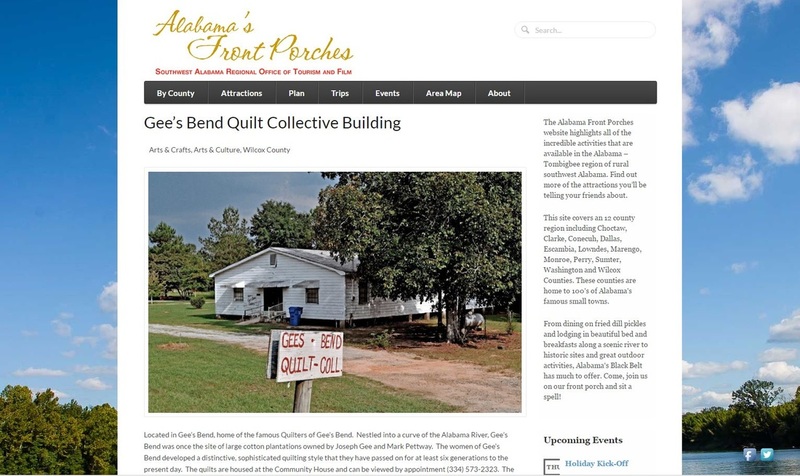 Administer Alabama’s Front Porches website (www.alabamasfrontporches.org) which highlights all of the incredible sites, destinations, and events that exist in the Alabama Tombigbee region of rural southwest Alabama. Developed an updated hospitality resource guide for use by the frontline service providers who encounter tourist in their capacity as employees in motels, service stations, restaurants and other tourism related businesses as “tear off sheets” for tourist to more easily get around the county while visiting. This project provided resource and marketing materials to the region about tourism assets. Utilizing a wide range of community outreach, partners link those opportunities to support tourism businesses on a regional level. With continued development in organization and planning, the extensive selection of historical, cultural and natural resources available in the region will build a sustainable economic initiative that will attract travelers and build economic expansion and support for the region. ​Knowing that hospitality is a major component to tourist returning to an area, UACED worked with local tourism entities to develop a Hospitality Resource Guide. The guide is comprised of attractions, eateries, tourism information venues, emergency contacts, lodging as well as websites to find more information on specific topics that may interest the individual. To assist with ease of navigation, the tourism asset locations were converted into GPS coordinates as well as put into turn by turn directions from one site to another. The resources were then compiled into a double sided guide for the front line workers, who often communicate with tourists in their capacity as employees in motels, service stations, restaurants and other tourism related businesses. These employees often get asked for directions or other information by tourists and now they will have a guide at their disposal of all the information a tourist may need from food and lodging to where to find a hospital or doctor. This will increase the pleasantness of a visit by a tourist, while empowering workers with correct information about their community. The resource guide was printed and distributed to high traffic areas in the region.